Recently discovered, Samsung Pay for the Gear S3, Samsung’s latest smartwatch, is working for many smartphones on the market that aren’t made by Samsung. For example, if you utilize a LG G5 and a Gear S3, you can now use Samsung Pay from your smartwatch. Considering Samsung’s rather closed approach to its ecosystem in past years, this is pretty major. I mean, you couldn’t even use their smartwatches without a Samsung phone for a while, so this news is great. According to Samsung’s own list, many major phones are supported, such as the G5, DROID Turbo, Moto Maxx, Nexus 6, LG G4, Nexus 6P, HTC 10, and others. On the downside of this news, anyone with a Pixel phone is currently not supported for Samsung Pay, but that could change in the future. To get Samsung Pay on your Gear S3 up and running, press and hold the device’s top button, which will launch the software. Once you have your account all set, you are able to use Samsung Pay on your Gear S3 at any supported retailer. If we hear of any changes for Pixel owners, we will let you know. 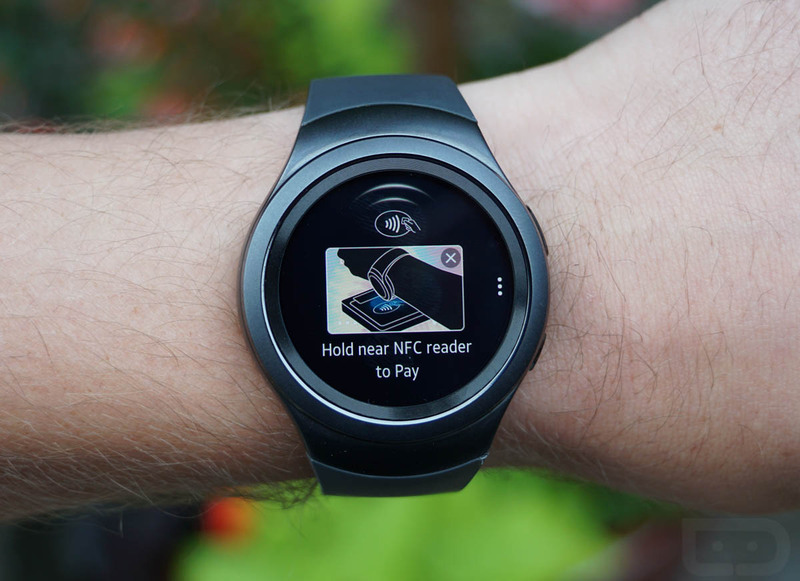 NOTE: Gear S2 with Samsung Pay pictured.